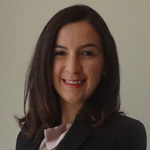 Born and raised in Turkey, Nilgun obtained her BSc in Molecular Biology and Genetics from Bilkent University (Turkey) and an MSc in Systems Biology from the University of Heidelberg (Germany). Since 2011, she has been a PhD student in Systems Biology at the VU Amsterdam and one of the latest Huygens Scholars. Due to her background in molecular and systems biology, she has the ability to see networks in detail and plan step-wise procedures, even with backup plans, considering the reason-result relationship. She has a natural talent in connecting and motivating people. As a member of a Voluntary Education Project for 5 years during her Bachelor’s studies, she facilitated full attendance and connection within the group by organising social events.